Can you remember the feeling of receiving a postcard from a beloved one? The great surprise, the feeling of being thought of, the feeling of revealing a new piece of our world? Hold it for a second. In our days of super-fast high-tech environment this feeling is lost. And it is exactly what we wish to bring back to the world. PostArt is a web curated gallery store that offers users to send high-end art images, to anyone they love. In the form of a postcard. With just one click. You simply choose a piece of art, enter a personal message, address, and send! We deal with the rest. 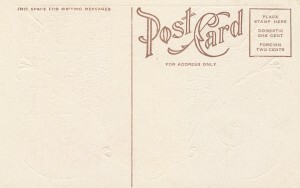 In PostArt we’ve developed a very easy and nicely designed way for creating a unique postcard. We offer this service also to 3rd party businesses. Using our website, art galleries and museums can stay in touch with their audience in a new and engaging way. The mission: filling the world with thousands of little ambassadors, bringing back art to our daily life, and offering the people back a lost feeling: the feeling of keeping something deep & intimate close to one’s heart.